Sound Proofing help and advice on all aspects of noise and noise nuisance including wall sound proofing, floor sound proofing and ceiling sound proofing. Here you will find some of the most frequently asked questions we deal with. See what our customers think of our products here. 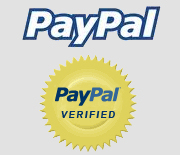 You can also find individual testimonials on each product page. The most read of our articles, this guide explains all the different types of sound and describes how they are measured. 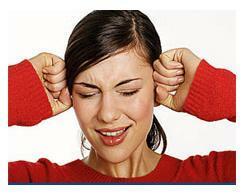 Noise and noise control problems and solutions for industry. Here we offer a dictionary like explanation of common terms used when referring to noise. Is sound proofing worthwhile? Do I need to sound proof my house? All your questions answered. A brief guide on how to soundproof a room. Details on h ow to sound proof a ceiling to reduce noise from above. This article describes the best way to sound proof a floor. Concrete or timber suspended, carpeted or hard surfaced. Here we discuss how to sound proof a wall. Thick and thin solutions to sound proof a party wall. Around one in five people hear noise from their neighbours and almost half of those are annoyed by it. Flanking sound is both airborne and impact noise that usually transmits through the fabric of a building. There are a number of areas within a car that can be sound proofed. We discuss them in this article. Pump and compresser noise are very common. We have a range of products to reduce the noise. This article tells you how to reduce vibration and airborne noise from a washing machine. A garage can be sound proofed and used as a music practise room etc. Here we explain how. A simple solution to reduce bass noise building up in right angled corners. The most effective way to insulate a domestic window is using secondary glazing. Road vehicles have to comply with noise-level standards. The police can take action if vehicles have defective silencers. The Government also sets different noise limits for flights during the night and day time. Advice on ways to reduce the noise made by Tube or underground trains. NEW ARTICLE !! This article describes how our products can help reduce noise from boat engines. Need to reduce sound leaving a pub or nightclub? Follow our step by step guide. If you have a soundproofed room and require clean air then this article is for you. Here we show the insulation value of timber stud wall partitions with and without our products. A simple guide on how to reduce unwanted noise at Christmas time. Designed for you and your neighbour. We now offer sound testing and noise surveys. NEW !! The term “Part E” refers to the new Approved Document E of the Building Regulations. IMPROVED ARTICLE !! Read about the Pre Completion requirements here. NEW & IMPROVED ARTICLE !! NEED Part e BUT No access to ceiling ? How to upgrade a separating floor when there is no access to ceiling below. Information on how to bring stairs in common areas into compliance with Part E Resistance to the Passage of Sound. Robust details provide an alternative to pre-completion testing for demonstrating compliance with performance standards of Part E.
do you suffer from Noise at Work? Noisy workplaces should now be a thing of the past. This article explains how to help save your hearing at work. music at Work - your questions answered? If your unsure what the law says on loud music at work then read this article. If your unsure what the law says on loud noise we have the answers here. Since the update in 2006 the Noise Regulations effect most employers. Schools now have to comply with Part E on acoustics within each study space. We explain how. Anyone applying for a change of use or New build property has to have a pre completion test. Read more here. This technical article talks about the varying ways that sound affects a room and is an ideal read for students studying noise. This article talks about why acoustic treatment is important in a recording studio.